Successfully Added Uhans K5000 Rugged Phone - Android 7.0, Octa-Core CPU, 3GB RAM, IP68 Waterproof, 4G, Dual-IMEI, 13MP Camera (Black) to your Shopping Cart. Stay connected anywhere you go with the Uhans K5000 rugged phone. This rugged smartphone comes with Dual-IMEI numbers that allow you to slide in and stay connected to two SIM cards at once. The phone furthermore treats you to 4G connectivity and Dual-Band WiFi. Thanks to this, you’ll always be able to browse the web no matter where you’re at. With its IP68 design, this Android phone is resistant to dust, water, and drops. This makes the phone perfect to be used in outdoor settings or rough environments such as factories and mines. With its 5000mAh battery, this Android phone treats you to plenty of juice to get through the longest of days without needing to worry about battery life. While enjoying the outdoors, you’ll be able to snap breathtaking pictures and FHD video with the phone’s stunning 13MP rear camera. On its 5.09-Inch Full-HD display, this Android phone treats you to crisp and vivid visuals at any time of the day. This makes it a perfect phone for watching movies and playing games on the go. The phone comes packed with an Octa-Core processor and 3GB RAM for an outstanding user experience. Whether you’re into games, movies, or Apps - nothing will slow this beauty down. By treating you to 32GB internal storage and a whopping 128GB SD card slot, you won’t have to worry any time soon about running out of storage for all your favorite media. To guarantee a lag free and smooth user experience, the phone comes with the latest Android 7.0 operating system. 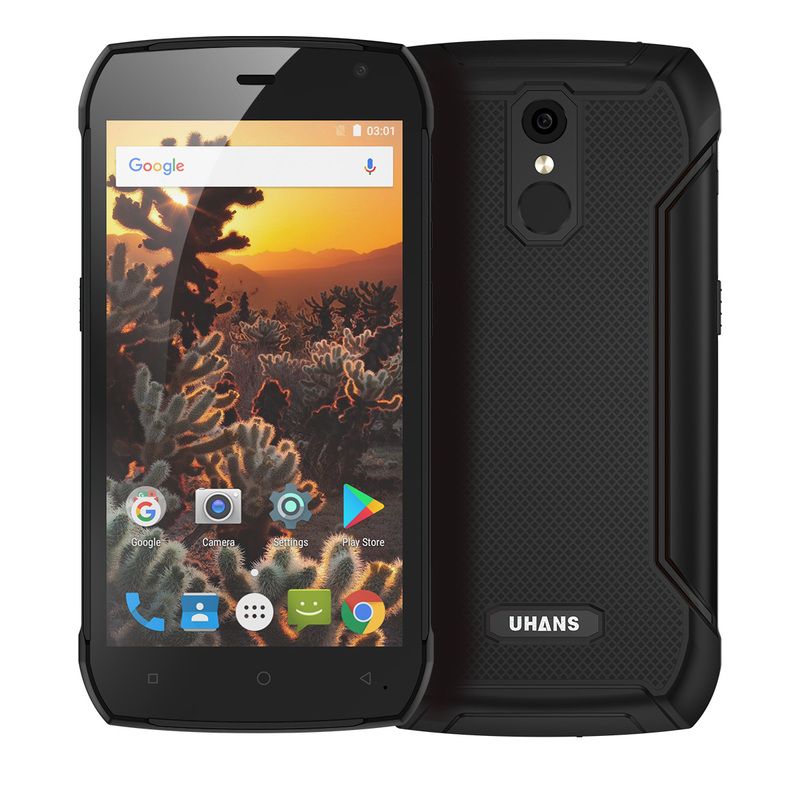 If you’re looking for an Android phone that keeps you connected at all times, the Uhans K5000 is the ultimate choice for you. This rugged phone comes with a 12 months warranty, brought to you by the leader in electronic devices as well as wholesale smartphones..